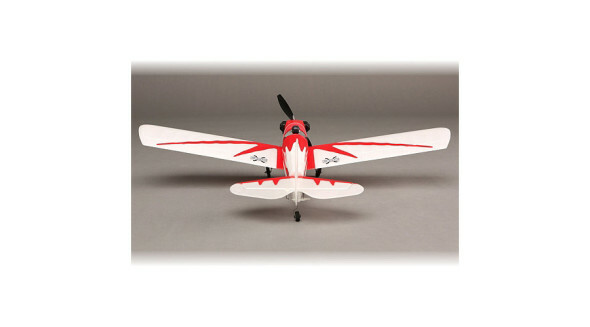 The E-flite UMX Spacewalker can make the joy of RC flight possible in spaces as small as your own backyard. Exquisite detailing includes molded wing ribs, exposed engine cylinders and a pilot figure pre-moounted in the open cockpit. Like all UMX aircraft, the Spacewalker uses advanced 2.4GHz Spektrum DSM2/DSMX technology for interference free flying. The included single cell 70mAh LiPo delivers 5-9 minute flight durations; the included DC charger can recharge it in about 20-minutes. Superb slow-flight capability and simple 3-channel performance will have most pilots wanting to keep a few extra micro batteries on hand to extend their flight sessions. Previous 1st U.S. R/C Flight School trains its 1600th student! Here’s his report….